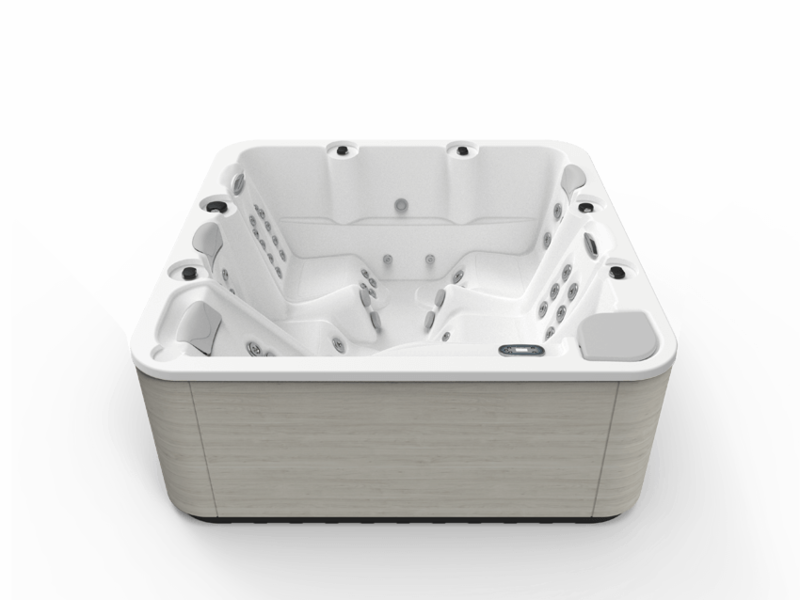 Aqualife 7 is the largest hot tub in the Aqualife collection, and the most generous in terms of sacrificing seating positions for space. 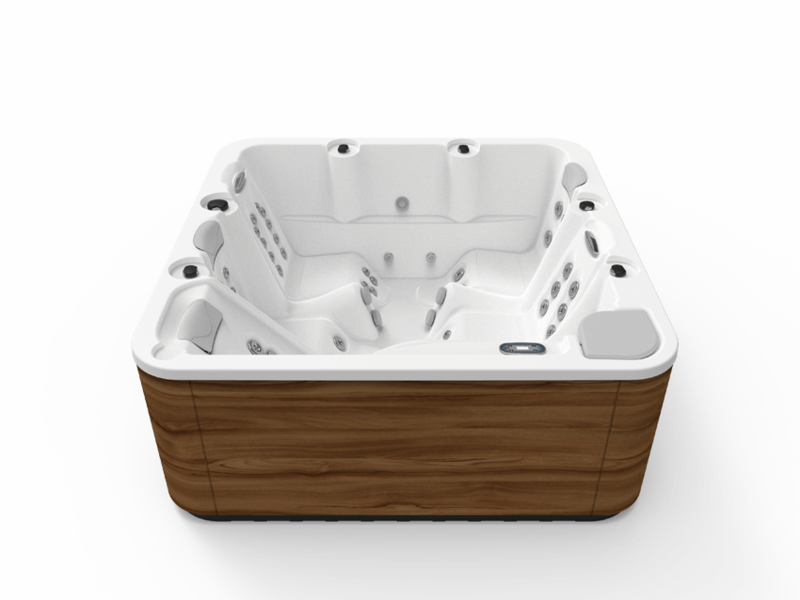 It is a 5-person hot tub, with one position configured as a fully-equipped lounger. 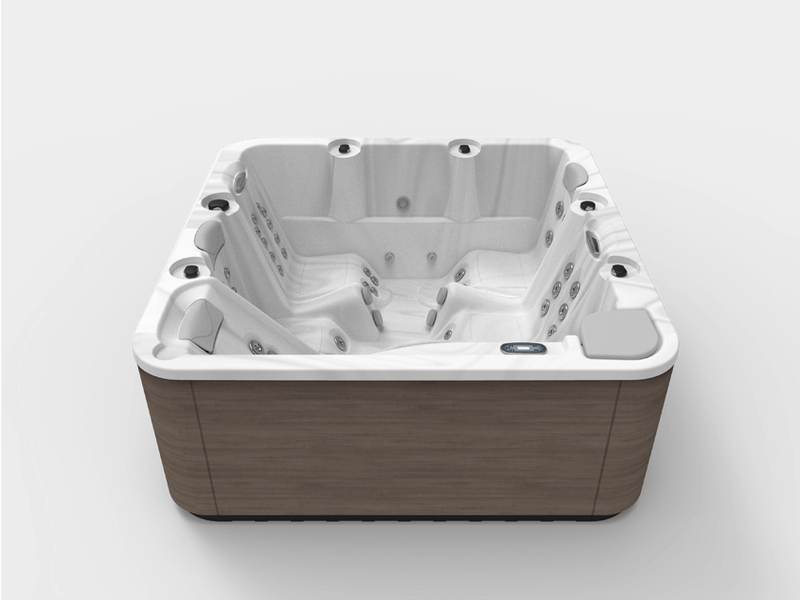 The other 4 positions are comfortable seats with great added value: they are adjustable in terms of depth and inclination. If you want to buy a family hot tub that perfectly adapts to any user and any situation, the Aquavia Spa Aqualife 7 is for you. 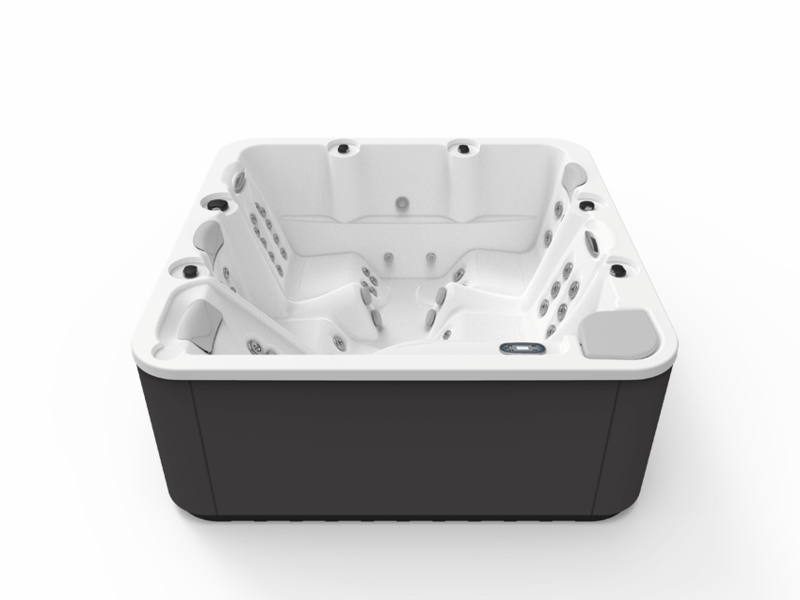 In addition to the features of the other hot tubs in the collection, the Spa Aqualife 7 has many more jets, 56 in total, as well as 2 waterfalls at neck level on two of the seats. The other three seats have headrests to add to their comfort. 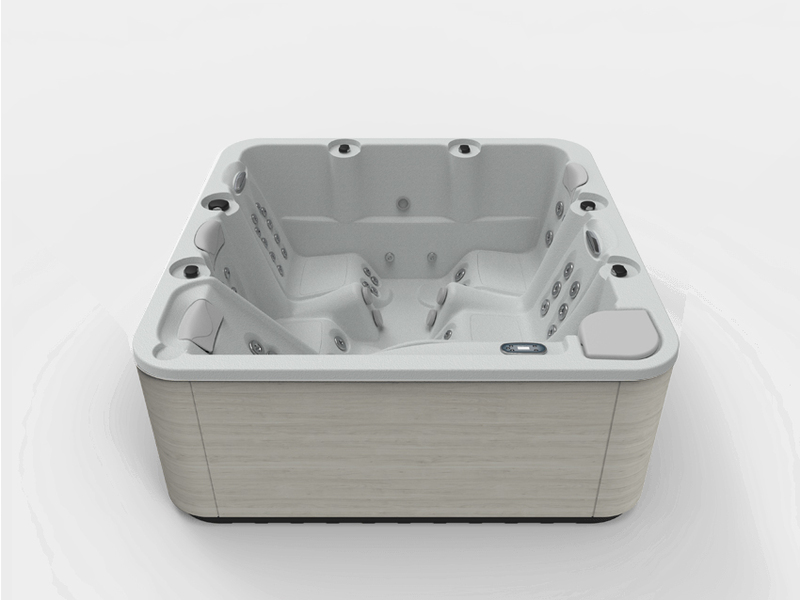 There are also different massage programs for a complete hydromassage of all the important points of the back, arms, buttocks, legs and feet, and accessories such as the three LED lights used for chromotherapy (2 more than the other models in the range). 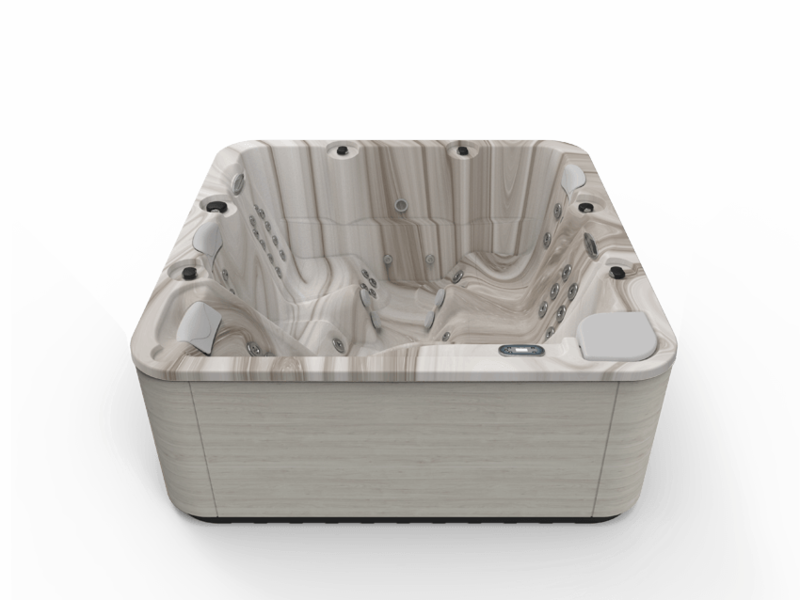 With the Aqualife 7, the Aquavia Spa designers and engineers have created the most ergonomic model in its range and market segment. 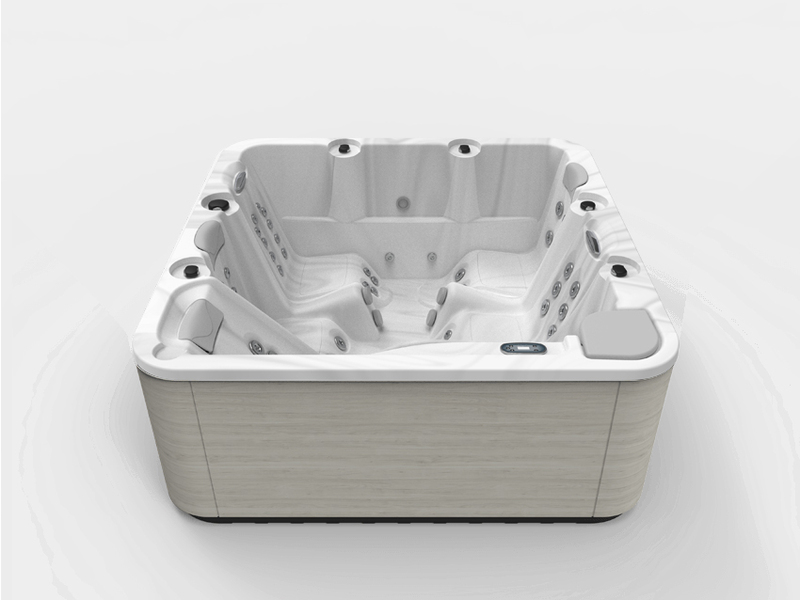 In addition to the dual position in terms of the inclination and depth of the seats, the lounger is designed to provide a hydromassage for greater relaxation and ease, as well as lipo action. 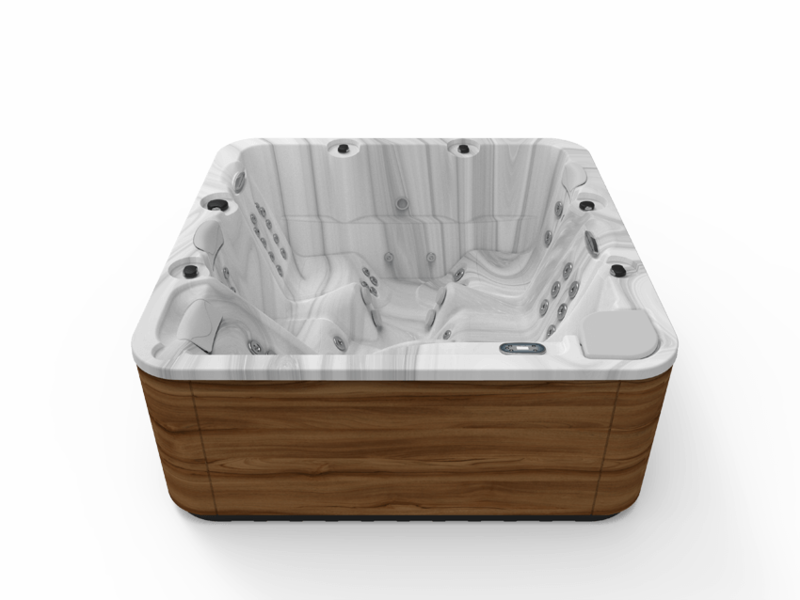 And apart from the different positions, one of the advantages of combining spaciousness and user-focused design is the great freedom of movement inside this hot tub. It is very easy to move around the different positions, which is a huge benefit given how versatile they are: 2 seats with waterfalls, 2 with headrests, each with adjustable depth and inclination, and the lounger to top off what is a true domestic hydrotherapy centre. 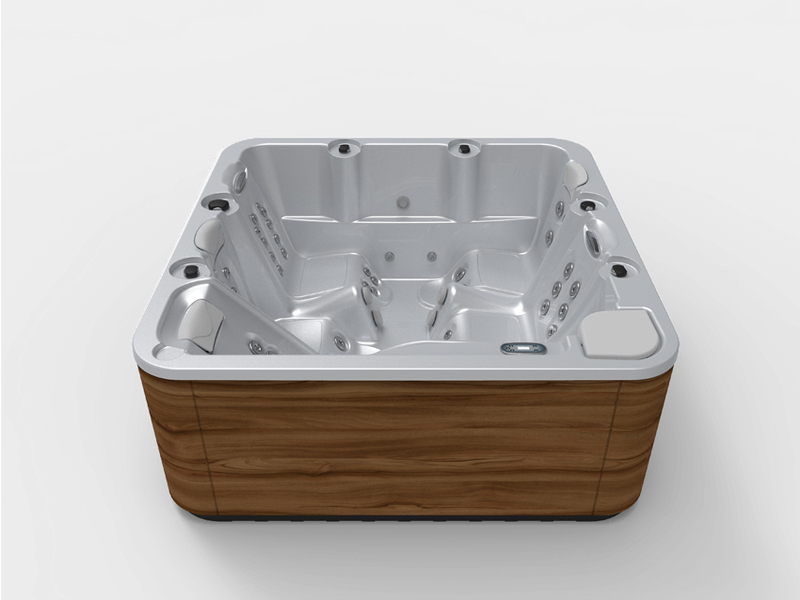 Hot tub volume of water (litres): 1.180 l.